Huawei is set to release a new flagship in the very beginning of 2018 titled as the Huawei Honor View 10. 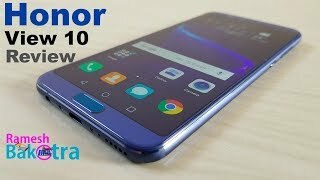 This smartphone is released as the Huawei Honor V10 in China. It can be also considered as a cousin of the Huawei Mate 10 because of the similarities. To find out more about this upcoming phone and whether you should wait for the Huawei Honor View 10 release date UAE or not, keep reading. While a lot of the smartphone makers are going for near bezel-less displays, not all those phones are offering a good screen to body ratio. This one, the Huawei Honor View 10 comes with a 5.99-inch screen covering 78.6% of the body and will be showing 2160 x 1080 pixels resolution and 403ppi of pixel density. The phone may not be completely bezel-less but it’s definitely a good-looking phone with aluminum body and five different colors to choose from after the Huawei Honor View 10 release date UAE: Charm Red, Aurora Blue, Navy Blue, Beach Gold and Midnight Black. Although it’s packing a decent size battery inside, the phone is quite thin at 7mm. It’s also packing a fingerprint scanner on the front which is a surprise for near bezel-less phones like this. For those of you who are into the latest near bezel-less phone trend and want a phone with only display covering the screen: there is the iPhone X and Xiaomi Mi Mix 2. Most of the phones are getting dual rear cameras nowadays but Huawei is one of the first companies to include dual cameras in both mid-range and high-end phones. It will be the same in the Huawei Honor View 10 as it will be packing a combo of 16-megapixel camera and a 20-megapixel camera on the back. As the phone is not here yet, we will have to wait for the Huawei Honor View 10 release date UAE to find out more about it’s camera. The front camera will be a 13-megapixel one with f/2.0 aperture. For now, there is the Google Pixel 2 XL and Samsung Galaxy Note 8 if it’s the best camera focused phone you want. However, these are more expensive compared to the Huawei Honor View 10 Dubai price. A phone with fast charging is a must nowadays and things are looking good in the battery department. The Huawei Honor View 10 is powered by a 3750mAh Li-Po non-removable battery and users can get 58% of charge by charging it for just 30 minutes according to Huawei. To make sure users get a smooth Android Oreo performance, the phone comes with Hisilicon Kirin 970 octa-core processor paired with a 4 or 6GB of RAM depending on the version you pick. Other notable features of this phone are: NFC, IR, USB Type-C 1.0 reversible connector, GPS, 3.5mm headphone jack and 64 or 128GB built-in storage. 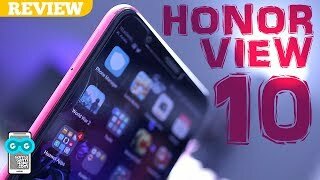 Considering the Huawei Honor View 10 Dubai price, all the expected features are there as you would expect in a flagship phone. The Huawei Honor View 10 is a flagship phone and will be available for about AED 2200 when it's here. From what we have learned so far, the phone should be here sometimes after Jaunary 8, 2018. Rp7.2 juta, dapet apa? 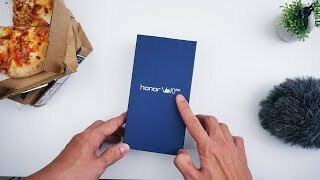 Unboxing Honor View 10 Indonesia! 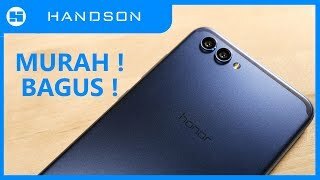 Review Huawei Honor View 10 (V10) Indonesia, Bukan Karena Fanatisme Buta! Price has decreased 40% from AED 2000 on 2018-04-12 to AED 1199 today.